the C-53 is a 184' long Mexican Navy minesweeper that was sunk in June 2000. Divers may swim around the wreck. In good visibility you can easily see the whole thing. There is a line that can be followed that runs the length of the wreck. 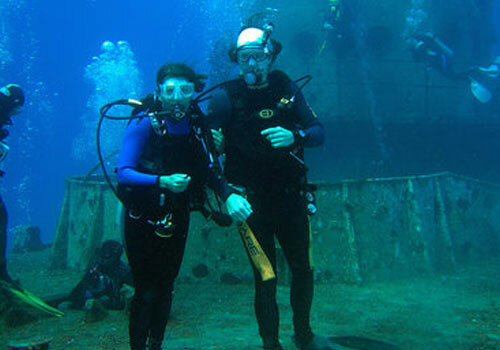 Dive masters will take those willing to go on a tour inside of the wreck. There are several openings lalong the way that could be used to exit the wreck. 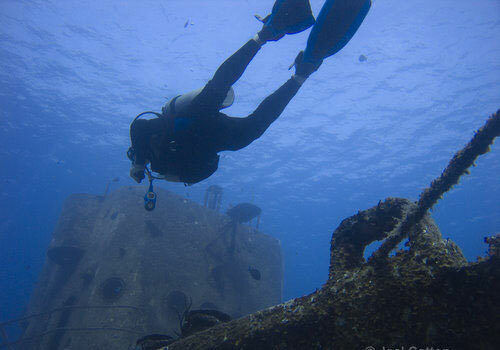 Divers should be experienced. A light is highly recommended. 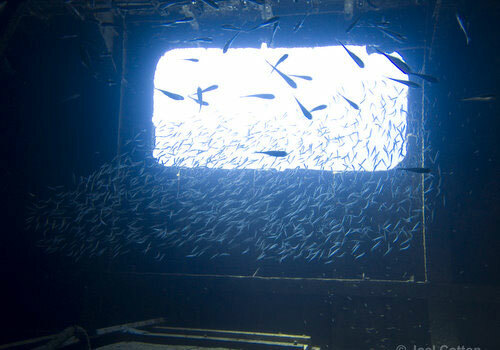 The wreck can easily be seen in 1/2 hour. If the currents are favorable, and your air supply is OK, you might be able to make a drift dive to Chankanaab. 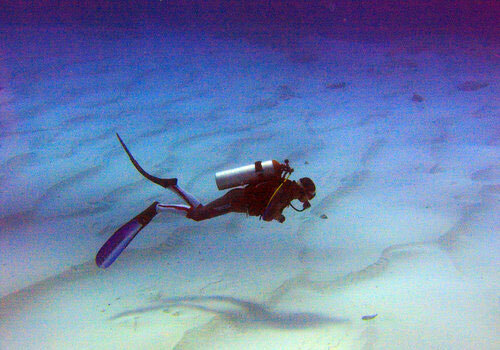 However, for the most part, there is mostly sand close to the wreck, and if you leave the wreck, you will be looking for sand dwelling creatures, such as Manta Shrimp or Peacock Flounder. Inside you may see a giant Green Moray Eel. In addition, you will find Glassy Sweepers in the dark passages. Sponges and coral are starting to form thick colonies on the metal of the wreck. Look carefully for tiny Blenny's, starfish, and cleaner shrimp.